We also cater for the youngest guests. 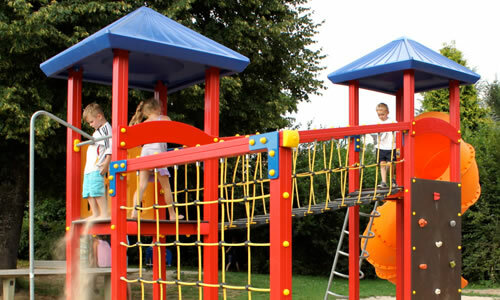 The newly designed playground offers lots of space for romping and is regularly maintained and modernized. 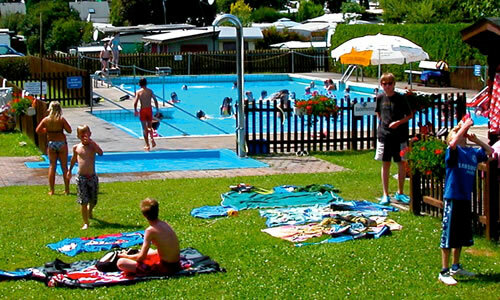 Cool down on hot days at the campsite: In the open-air swimming pool, all water manglers and swimming baths find many possibilities for sporting activities. 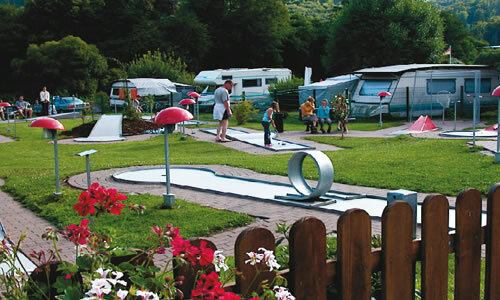 Our mini-golf course is a real highlight. Modern concrete pavements delight young and old and always invite to sporting challenges. 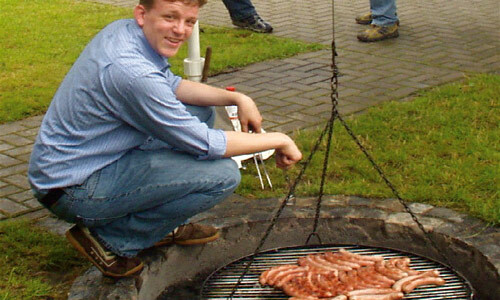 The free-use barbecue area has a gazebo with seating and a large fire place with swing grill.